i like Ebi san.. Such a friendly owner.. The house very nice.. i will come back if i visit Furano again.. the environment is wonderfull during winter.. & ebi san offer sled to us to play.. Host was very nice! Very hospitable and took the time to show us how to work everything in the cabin. Cute little log cabin, mezzanine sleeping arrangement was super warm! Gave us vouchers for both onsen and skiing. Top notch! The cabin was lovely - really unique with personal touches. It felt cosy and warm, and had everything we needed. The location was great, a lovely little spot in the woods that was very convenient for the ski resort. We loved meeting the owner, who was super kind and helpful. Brilliant owner and host who went above and beyond to help. 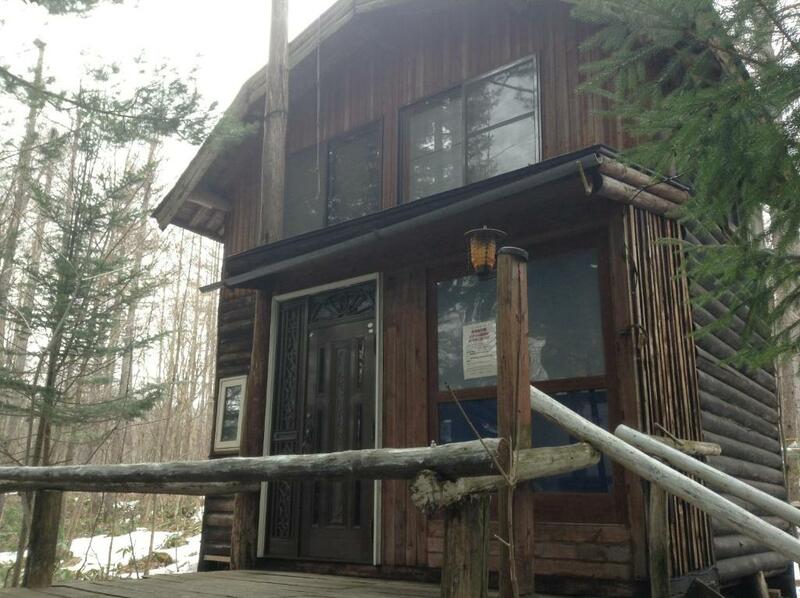 Great location near ski fields and has all cooking items to make our own meals. Owner was so helpful in every way and even taught the kids how to toboggan, drove us to the ski resort, supermarket and hospital, took us on a tour of the cheese factory and bought us cheesecakes which were AMAZING!! I like the traditional design house. It's good if you need to be alone and can enjoy your loneliness and peacefulness. The host is very friendly. willing to pick you from station and send you back to station after check-out. He is also willing to recommend or guide you a good place to go. The nature and service is very very good. We brought fresh food to cook shabu Shabu. The kithchen is well equipped and got everything tourists will ever need. Atmosphere around and awesome service from the host. It is a wonderful place to family, the hut is very well equipped with “everything”, shops & restaurants are within driving distance. Lock in a great price for Log Yukari - rated 8.4 by recent guests. One of our bestsellers in Furano! Surrounded by woods, guests at Log Yukari can rent out a spacious log house-style cottage. Free parking is available on site and barbecue facilities can be used for free. A free transfer is available from JR Furano Train Station, which is a 10-minute drive away and must be reserved at time of booking. The air-conditioned cottages feature a loft area or a 2nd floor. Each comes with seating area, a TV . The kitchen includes a microwave, a fridge and an electric kettle. Kitchenware and a toaster are provided as well. Some cottages come with a wooden balcony. A shared coin-launderette is on site. Guests can purchase light snacks and refreshments at the souvenir shop by the front desk. A free shuttle is available to Furano Ski Resort during the winter season. Yukari Log is a 10-minute walk from Furano Ski Resort and a 20-minute drive from Farm Tomita. Furano Cheese Factory is a 10-minute drive away. This property is also rated for the best value in Furano! Guests are getting more for their money when compared to other properties in this city. Log Yukari has been welcoming Booking.com guests since 21 May 2013. When would you like to stay at Log Yukari? Features 1 single bed and 3 Japanese futon bedding on the loft area. This air-conditioned cottage features a loft area. Comes with seating area, a TV . The kitchen includes a microwave, a fridge and an electric kettle. Kitchenware and a toaster are provided as well. Some cottages come with a wooden balcony. Features 6 single beds on the 2nd floor. This air-conditioned cottage comes with a seating area, a TV. The kitchen includes a microwave, a fridge and an electric kettle. Kitchenware and a toaster are provided as well. Some cottages come with a wooden balcony. Features 7 single beds on the 2nd floor. This air-conditioned cottage comes with seating area with 2 sofas, a TV. The kitchen includes a microwave, a fridge and an electric kettle. Kitchenware and a toaster are provided as well. Some cottages come with a wooden balcony. Features 8 single beds on the 2nd floor. This air-conditioned cottage comes with a seating area with 2 sofas, a TV. The kitchen includes a microwave, a fridge and an electric kettle. Kitchenware and a toaster are provided as well. Some cottages come with a wooden balcony. House rules Log Yukari takes special requests - add in the next step! Log Yukari accepts these cards and reserves the right to temporarily hold an amount prior to arrival. The property offers a free pick-up service from Furano Station daily at 18:00 and 20:00 during the following period: from 20 June until 31 August. From November to April, guests will be charged a heating fee per room per night. You may also be charged before or after those months depending on the air temperature. Please inform Log Yukari in advance of your expected arrival time. You can use the Special Requests box when booking, or contact the property directly with the contact details provided in your confirmation. Ebi-san, the proprietor, is a phenomenal host. He was constantly offering to drive my friend and I around, whether to/from the ski area, grocery store, or into town for dinner and drinks. Obviously he's also an excellent source of local information, and his recommendations for the best yakitori in town did not go unused. The cabin we rented (4-bed) was small, but perfectly comfortable for two adults. The skiing in Furano exceeded my expectations. Very nice house and good host. Nice view outside during winter. The host even provide us with small sledge for our child to play with. Where to start?? Upon our arrival to Furano train station we were greeted by our exceptional accommodation host Mr Ebi San had come to pick us all up with all our large amounts of luggage in his comfortable transit van back to the Log cabin. Before we took off he advised a couple of us stay behind and do a grocery shop while the others were taken to the Log cabin to check-in and unload our luggage, Ebi San said he would return in 40 Minutes giving us enough time to do a grocery shop for our 4 day stay in Furano. It was a little bit challenging to do a grocery shop on our own as everything is obviously written in Japanese but we managed and were fed well throughout the stay. Once Ebi had picked the rest of us up from shops he had then shown us all the facilities available to us such as, the shared laundry area, extra bathrooms, the dry room for our snow gear, the ins and outs of the beautiful log cabin, he then also explained the drop off & pick up service he provides for guests staying at Log Yukari which was extremely convenient getting to and from the gondola/slopes and saved us lots of money in Taxi fares ( approx 1200 yen each way). If you would like to come and go as you please I would recommend hiring a car as Ebi San doesn't provide continuous driving service all day, our understanding was pretty much he'll take you to and from the slopes but won't make trips all day back and forth. The log cabin itself was quite comfortable for a group of 6 (cabin slept upto 8,) it was warm, cosy and cute, it's situated in the middle of the Furano and Kitanomine zones of the mountain which is approximately 5 - 8 minute drive to either side. The beds and pillows were clean and comfortable, the kitchen had everything we needed. If you're looking for a beautiful place that's in the woods, very well priced with fantastic customer service and care and within 8 minutes drive to the slopes look no further, log Yukari is perfect.